Our top four reasons for why transparency is so important in the workplace. When Sainsbury’s CEO Mike Coupe unknowingly took to the media stage last week with his rendition of the Broadway hit: ‘We’re in the money’ between TV interviews discussing the merger with ASDA, it was easy to see how this may have ruffled a few feathers amongst supermarket staff. As seen in an earlier blog, change in the workplace has often been feared. HR Grapevine reports on just that – with ASDA and Sainsbury’s employees fearful and frustrated for having been kept in the dark about the merger. The timing of this affair could not have been more fitting; with the GDPR deadline racing ahead and updated policies being fired at us from all directions, the word ‘transparency’ is increasingly becoming the buzzword for 2018. The question is, are we doing enough to be transparent? Not only with our customers, but also with our employees too? In this blog, we look at four of the top reasons for why transparency in the workplace is so critical. To build solid relationships in the workplace, trust is of the upmost importance. It can be the difference between success and failure and being transparent is a key component of this. The conversion platform for Marketers ‘Unbounce’ created an ‘Inside Unbounce’ blog, a staff-authored, un-censored window into the organisation. The blog helped to demonstrate transparency to customers and potential new recruits. It further kept employees engaged as they felt up-to-date on the regular goings on within the company. In a report by Harvard Business Review The Impact of Employee Engagement on Performance, an employee engagement survey found that three-quarters of respondents chose ‘senior leadership continually updates/communicated strategy’ as the second most important critical factor for employee engagement. This further demonstrates the importance of transparency in building employee engagement. This is not only the responsibility of senior management, but of all employees within an organisation. In a model organisation, top-level objectives would provide absolute clarity of purpose and would successfully cascade down through the organisation. All employees would be fully onboard with a shared sense of purpose. In reality, this often does not play out so harmoniously. This is often because these top-level objectives are not visible. By using a system like Actus Software, organisations are able to make these top-level objectives more transparent and accessible to all; which will help employees share a common sense of purpose. Furthermore, a culture of transparency can lead to the sharing of ideas as employees feel that they are able to share their voice in an open, collaborative environment. The quality of feedback amongst organisations can vary greatly and is often difficult to get right. This is why we have written an e-book on Feedback and how it can act as a game changer for performance management. It is important that feedback is honest and transparent, this often this can be challenging as managers and peers alike find it difficult to provide feedback in a constructive way. A culture of trust and openness must exist for the receiver of feedback to take it on board and not respond in a defensive manner. If you take a look at our Year-Round Performance graphic you will see with a culture of year-round performance management, we recommend that in month three of the business year a development review is held and month nine a conversation on career aspirations. By having these regular open conversations, clear direction and clarity between manager and employee may be achieved on what development requirements and direction is taken. Above we have highlighted some of the key benefits of transparency within the workplace. 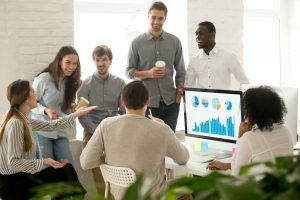 Evidence is increasingly showing the value of this area, not only when focusing on external customers but also when looking inwardly at employees and the culture that exists. Using a system such as Actus Performance Management Software can certainly help lay the foundations for building a culture of transparency should improvements be needed. Why not book a free demo of Actus Software to see for yourself?